Continuing the beer travelogue of my 2014 Spring Break road trip through eastern Tennessee and western North Carolina — the heart of Appalachia. After spending the first half of Spring Break ’14 camping just outside of Great Smoky Mountains National Park, we broke camp and drove east into western North Carolina towards Asheville. 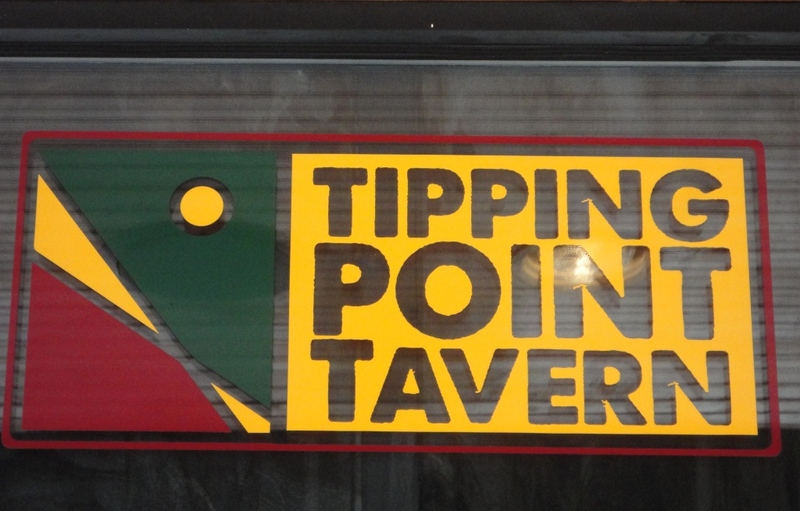 It was only an 80 mile drive, but we decided to detour into Waynesville, North Carolina for lunch…and a beer! Waynesville has a classic small-town Main Street, with gorgeous views of the Great Smoky Mountains. 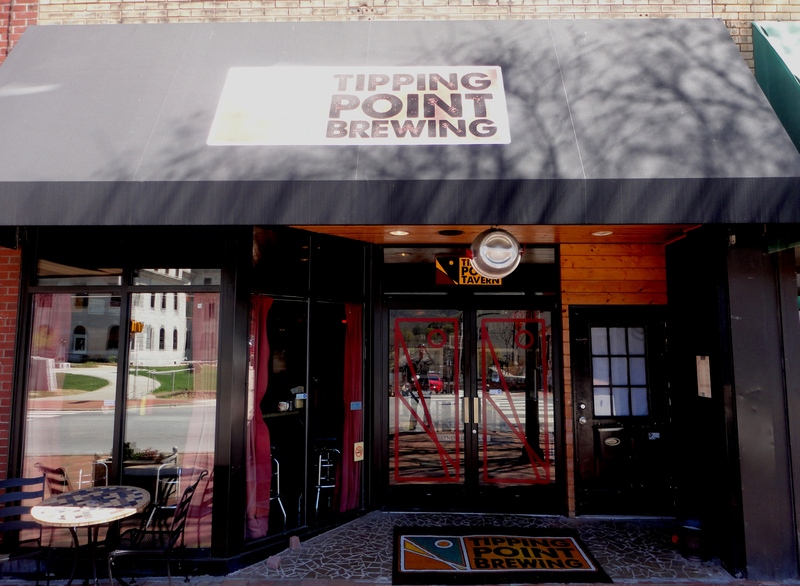 Tipping Point Brewery and Tavern is in the heart of the downtown – a perfect spot for a brewpub. 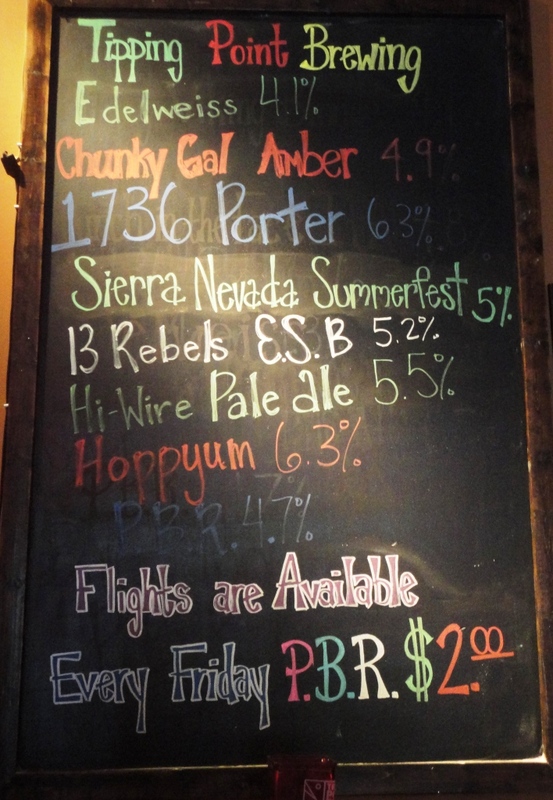 I ordered a 4-beer flight, which came with the three Tipping Point house beers at the top of the beer chalkboard, and one guest brew, Prime Time Pale from Hi-Wire Brewing in Asheville, NC. 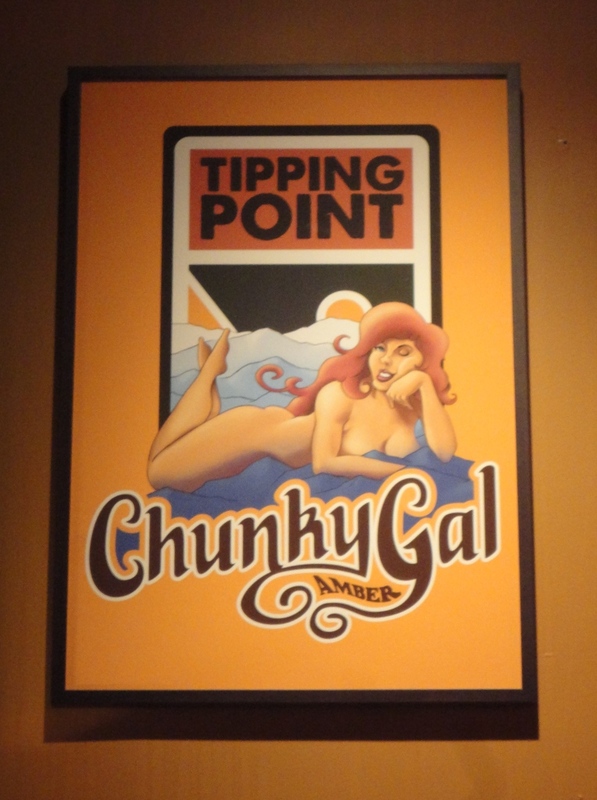 I enjoyed the visit to Tipping Point Tavern — it has a lot of character, along with delicious pub grub and friendly service.